The finalized prototype of Google self-driving car. The Dutch government on Friday approved large-scale testing of self-driving cars and trucks on public roads, saying the technology could greatly reduce traffic jams and improve road safety. "The cabinet has agreed to adjust road rules to enable large-scale testing of self-driving trucks and cars on public roads," the Dutch infrastructure and environment ministry said. 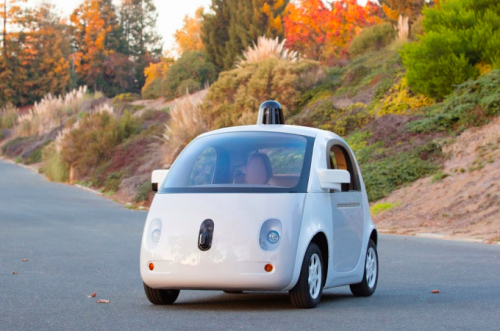 "The Netherlands is to become a testbed for self-driving vehicles," it added in a statement. "Large-scale testing is planned to start in the summer, once the changes to legislation are approved in parliament," ministry spokeswoman Marianne Wuite told AFP. The first Dutch test with a self-driving car on a public road took place in early November on the A10 highway outside Amsterdam, with a groundbreaking test involving self-driving trucks planned for early next month. The tests however are exceptions and until now research has been largely confined to private locations because of traffic rules. "With changes in the current legislation, the Dutch transport authority (RDW) will be able to grant permission for large-scale testing," the ministry said. Notorious for traffic jams, some 2.5 million drivers in a country of 17 million take to Dutch roads during the rush hour each day, according to the central statistics office's latest figures. But the government believes self-driving vehicles could change road conditions. "Vehicles that can talk to each other, brake and accelerate at the same time will help smoothe the traffic flow," it said. Self-driving cars make roads safer, are more efficient, "better for the environment and people's wallets," it added.